'Year Zero' marked a time of terror and anguish for the inhabitants of Cambodia. Pol Pot's regime is estimated to have killed at least one million people, some 18 % of Cambodia's population. Despite the wide exposure given to these horrendous events in the film 'The killing fields', little serious research has been carried out into how a ragbag army could seize an wield power with such brutality. 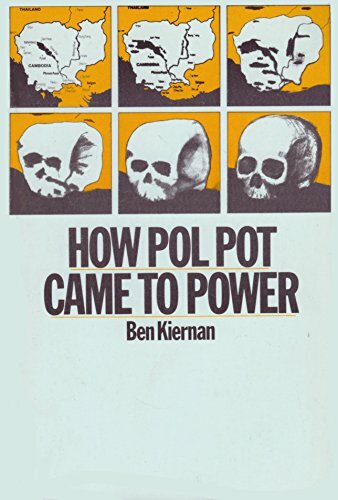 With How Pol Pot Came to Power Ben Kiernan fills this gap with a detailed yet highly readable analysis which traces the history of Cambodian communism from its opaque beginnings in the 1930s to the seizure of power by the Khmer Rouge in 1975. Kiernan, one of the few Western researchers to have mastered the Khmer language, draws on interviews, original sources inside Cambodia, and US intelligence material released under the Freedom of Information Act. He describes in detail the long and complex struggle for control of the Communist Party in Cambodia's towns and jungles. He analyses the important roles of the Vietnamese and Chinese in the conflict and shows how the tensions created constituted a major obstacle to Chinese-Soviet detente. The responsibility of the United States and its murderous bombing campaigns in Cambodia's ensuring crisis is mercilessly exposed. How Pol Pot Came to Power is by far the most comprehensive account ever published of a terrifying episode in recent world history. Anyone with an interest in the unfolding tragedy that is Cambodia will find it compulsive reading. Ben Kiernan is the A. Whitney Griswold Professor of History, professor of international and area studies, and the founding director of Yale’s Cambodian Genocide Program and Genocide Studies Program (www.yale.edu/gsp). Other books by the author include, Blood and Soil: A World History of Genocide and Extermination from Sparta to Darfur and The Pol Pot Regime: Race, Power and Genocide in Cambodia under the Khmer Rouge, 1975 1979, published by Yale University Press.